Just a little mid-week inspiration. The strength of willpower isn’t static, or fixed, but can change or develop with time or experiences…how it does so, is up to you. Look out for this week’s “For The Weekenders” tomorrow. 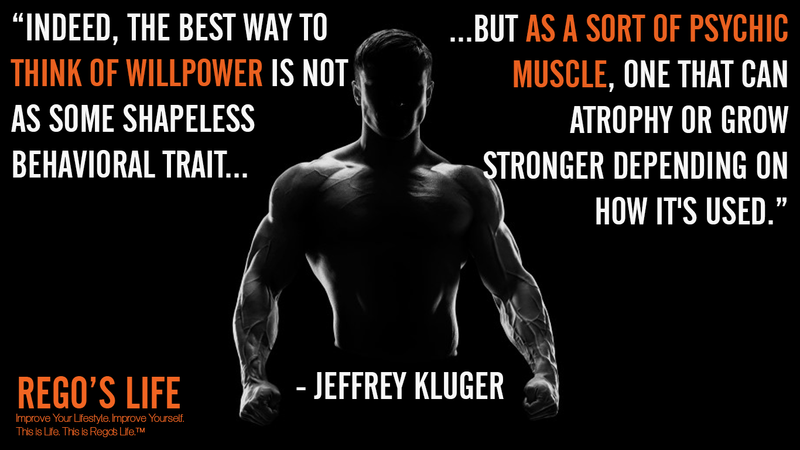 This entry was posted in Quotes, Uncategorized and tagged jeffrey kluger quotes, Quote Wednesdays, quote wednesdays rego's life, rego's life quote wednesdays, rego's life quotes, Regos Life, regoslife, stronger quotes. Bookmark the permalink.